Interview with Dr. Kerzin by Douglas Heuck for the Pittsburgh Quarterly (2019 Spring). Dr. Kerzin talks about the resilience training program for (16,000) UPMC nurses and staff. Article on how tragedy and a near-death experience changed Dr. Barry Kerzin’s life. Miguel Mayher interviews Dr. Barry Kerzin on everyday struggles in a chaotic world, and how to stay in the present moment through the most diverse practices that can be integrated seamlessly in one’s life. Dr. Barry Kerzin was interviewed on WHAS-TV Channel 11 in Louisville. Dr. Barry Kerzin being interviewed by Mark Hebert of the University of Louisville radio station UofL TODAY. Kerzin, who was the keynote speaker at this year’s UofL White Coat Ceremony on July 24, talked with Hebert about his life, his visit to Louisville, and the importance of training doctors to avoid burnout and retain their sense of empathy, as well as about his new book No Fear – No Death: The Transformative Power of Compassion. 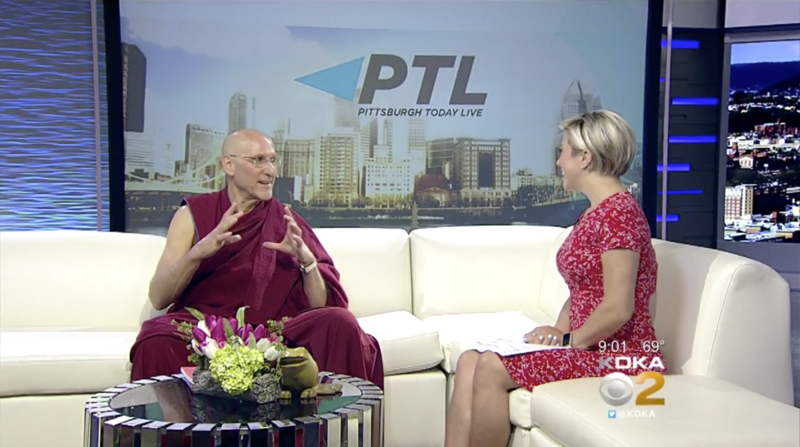 During this very recent TV interview on KDKA-TV in Pittsburgh, Dr. Kerzin talks about the importance of staying in the present moment, alongside other very important topics such as emotional hygiene and healthy self-confidence. An article written by Patricia Sheridan of the Pittsburgh Post-Gazette on AIMI’s resilience program for 16,000 UPMC nurses and medical professionals, lead by AIMI founder and president Dr. Barry Kerzin. 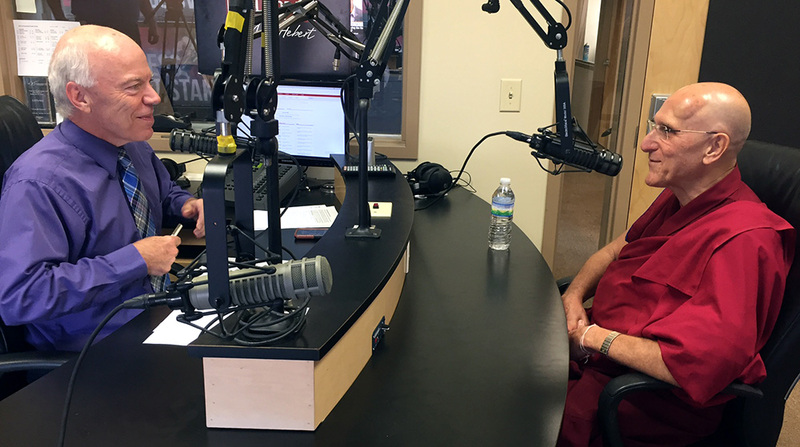 The American doctor and Buddhist monk, a visiting professor at the University of Hong Kong, tells Kate Whitehead about losing his wife, finding faith and how he came to be personal physician to the Dalai Lama. Dalai Lama’s American doctor wants more compassion in medicine.